for out of it wast thou taken: for dust thou art, and unto dust shalt thou return. 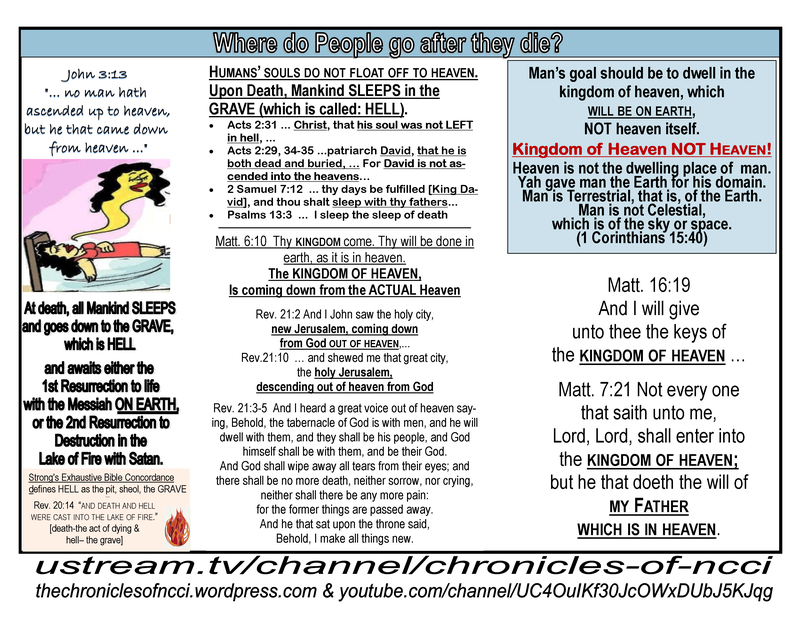 Tags: bible, blacks, death, elder Yachov ben israel, Halleluyah, heaven, Hebrew Israelite, hell, kingdom of heaven, NCCI, sheol, sleep, ten commandments, Yahshua, Yahweh, YHWH | Permalink. Summer Heat and Summer Cook-outs! 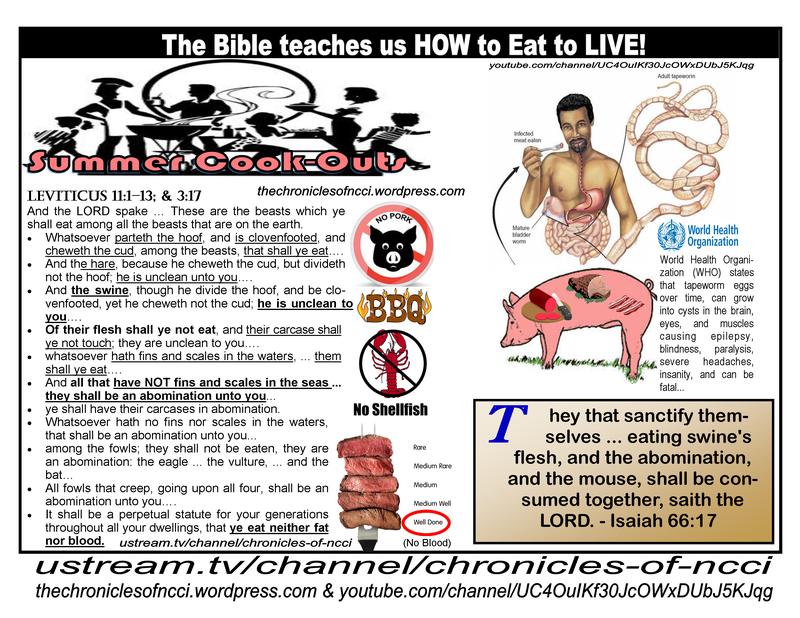 As Summer Cookouts come around, remember Yah’s Dietary Laws! Tags: bible, blacks, elder Yachov ben israel, Halleluyah, Hebrew Israelite, NCCI, Yahshua, Yahweh, YHWH | Permalink.